"For Muslim men and women,- for believing men and women, for devout men and women, for true men and women, for men and women who are patient and constant, for men and women who humble themselves, for men and women who give in Charity, for men and women who fast (and deny themselves), for men and women who guard their chastity, and for men and women who engage much in Allah's praise,- for them has Allah prepared forgiveness and great reward." And believes in Al-Husna (The Paradise). We will make smooth for him the path for evil;"
"And leave Me (alone to deal with) those in possession of the good things of life, who (yet) deny the Truth; and bear with them for a little while." A crucial time for all Muslims across the world is almost upon us. A time of gratitude, reflection and hope. Ramadan is the event where we give all thanks and praises to Allah, The One Source of everything. We show our appreciation for Him and His gifts He endlessly bestows on us by sacrificing some of the more significant things in our everyday lives during the daytime. Unfortunately, there are many people out there that are in a dire situation where they're not able to be kept fed regularly or have sufficient shelter from harsh weather conditions, so this annual occurrence reminds us that we all could be in a much more modest position, and to supplicate [pray] for those that are really struggling for Allah to improve their state of affairs. 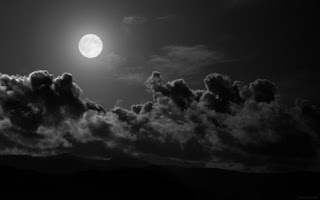 Ramadan starts upon the sighting of the new moon; for 2015 this will commence around the evening of the 5th June; but as you may probably know, it is also dependant upon your location. Ramadan UK has various timetables for places around Britain, stating that fast spans between Fajr and Maghrib prayers. Peekaboo; Eye See YOU !! 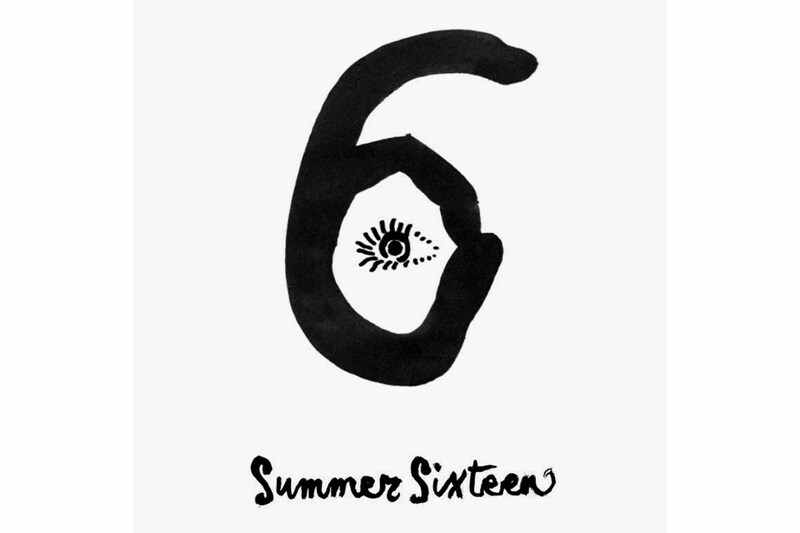 : Drake - "Summer Sixteen"
AYTD Jukebox; Paul Weller - "The Changingman"
The Changingman is from the 1995 album Stanley Road. Lyrics courtesy of LyricsFreak. Here's an article I came across just now, and thought I'd share it with you all. Article courtesy of Islamic Leaning Materials. Frustrating isn’t it? You pray and you pray. You make long duas and just pour your heart out. You beg and you plead to Allah to give you something or remove some harm from you. But no matter how hard you supplicate, your duas just don’t seem to get answered. And you have no idea why. You’re not a bad person. There are worse people out there than you. Why won’t Allah answer your duas? What are you doing wrong? Is there some secret formula or secret code to getting the Almighty to respond? Let me first put your mind at ease by letting you know that Allah hears everything you say, and He knows everything you desire. And when My servants ask you, concerning Me – indeed I am near. I respond to the #invocation of the supplicant when he calls upon Me. So let them respond to Me and believe in Me that they may be guided. So rest assured, that Allah hears you. But look at the last part of that verse. Allah commands us to respond to Him and Believe in Him. Are you doing that? Have you responded to Allah and His messenger (peace be upon him)? Is your belief (imaan) complete? Perhaps you’re lacking in a few areas. Or perhaps it’s something even deeper than that. Let’s look at a few reasons that might be holding your duas up. 1. You Aren’t Doing Your Part. This might be the most obvious problem. You want Allah to give you this and give you that, but you aren’t giving Him anything in return. You’re not fasting during Ramadan. You’re not paying your Zakah. I’m sure you understand that Allah punishes us for the wrong we do. That punishment is not just in the hereafter; it can also happen in this life. Neglecting the 5 pillars of Islam is sinful and will earn Allah’s punishment. Perhaps that’s why He’s not giving you what you want. So stop backsliding and straighten up. Do what He has commanded you to do and you might see your life improve through #dua. You just couldn’t wait could you? You asked Allah for something over and over again, and when you didn’t get it when you wanted it, you got impatient. And so you gave up. You stopped asking and started believing that Allah wasn’t going to answer your dua. And then you went and told someone that Allah didn’t answer your prayers. The supplication of a slave continues to be granted as long as he does not supplicate for a sinful thing or for something that would cut off the ties of kinship and he does not grow impatient.” It was said: “O Messenger of Allah! What does growing impatient mean?” He (PBUH) said, “It is one’s saying: `I supplicated again and again but I do not think that my prayer will be answered.’ Then he becomes frustrated (in such circumstances) and gives up supplication altogether. Your knowledge is limited. But Allah’s knowledge is unlimited. You might think you want something right now, but Allah knows better when it is right to give it to you. Perhaps He didn’t give it to you at that time because it would bring you more harm than good. Perhaps He wanted to test you and had you been patient with the test, He would have rewarded you with something better. Only Allah knows. But since you became impatient, and said the wrong thing and stopped making dua, you lost out on everything. 3. You Ask For Something Evil. Why would anyone ask Allah for something bad? Is that what you did? Did you ask Allah for something that would bring you sin? Did you ask Him to give you a girlfriend or boyfriend? Did you ask Him to to give you a Riba-based loan so you could buy a house or car? Did you ask Him to bring you income from a job that sells pork or alcohol? Well if you did, now you know why He didn’t answer your supplication. 4. You Don’t Think You’re Gonna Get It. Why would you even ask Allah for something if you don’t believe He’s gonna give it to you? What’s the point of supplicating Allah if you don’t have any faith that it’s gonna happen? Impossible and possible is all in your mind. Just because you don’t think it can happen, doesn’t mean it won’t. And it certainly doesn’t mean Allah can’t make it happen. Don’t make half-hearted duas. Make your duas with confidence that Allah will grant them. Especially if you’re asking for something good and beneficial. 5. You Are Involved In Too Much Evil. Allah is good and He only likes that which is good. So if you’re good, then He will give you good. The things we eat and consume have an affect on our spirituality and closeness to Allah. Just because you’re going through a difficult time, it doesn’t mean Allah is obligated to answer your prayers. We are commanded to follow the example of the Prophets of Allah (peace be upon all of them). Inshallah, I hope this serves as a reminder for both you and me on what it takes to come closer to Allah and have our duas answered.